Go Karting is a fantastic sport for all ages, genders, and body size. It’s one of the few sports where everyone competes on a level playing field. 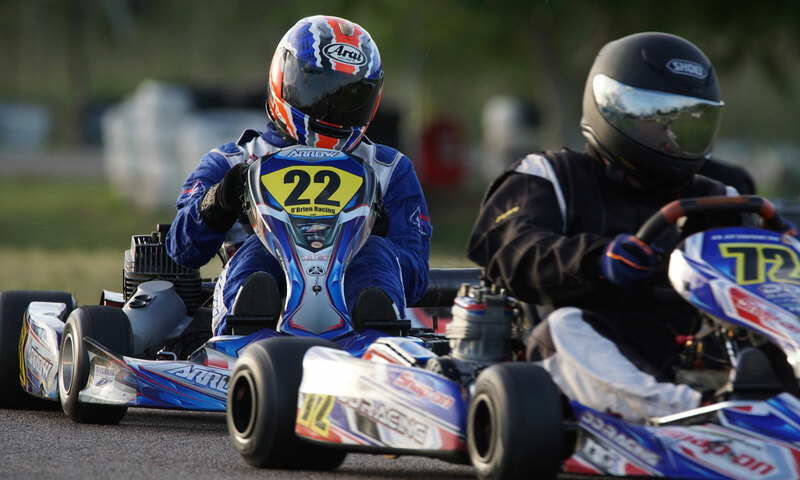 With each kart / engine / driver needing to meet a minimum class weight that varies depending on the type of motor used (to achieve parity), it’s important to choose a go kart that’s suited to the drivers weight. Our club has put together a guide for which kart / engine you should buy if you’re considering getting into sport. An Arrow 30/32C go kart with a Yamaha KT100S Clubman motor weighs 70kg. This would suit drivers up to 85kg to make the 150kg minimum class weight and be competitive. An Arrow 30/32 with an IAME KA100 weights 78kg. This would suit drivers up to 87kg to make the 160kg minimum class weight and be competitive. An Arrow 30/32 with an IAME Leopard weighs 82kg. This would suit drivers up to 93kg to make the minimum 170kg class weight and be competitive. Often ballast such as lead is used to meet the minimum class weight but please keep in mind all karts can have a maximum kart weight of 105kg.